Step 1: Mix the Madria Sangria together with the fruit in a pitcher. Step 2: Pour it into your molds. Use plastic wrap to help hold the sticks in place. 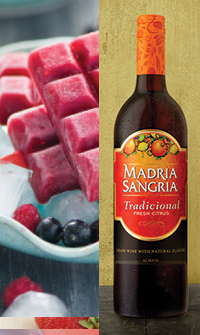 Step 3: Place the molds filled with sangria on a baking sheet, and put it in the freezer. 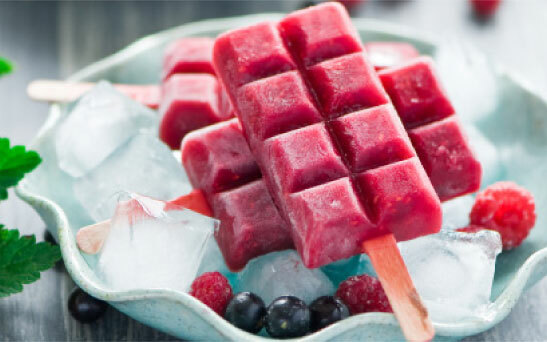 Step 4: Once frozen, which might take around 5 hours, carefully remove the popsicles from the molds. 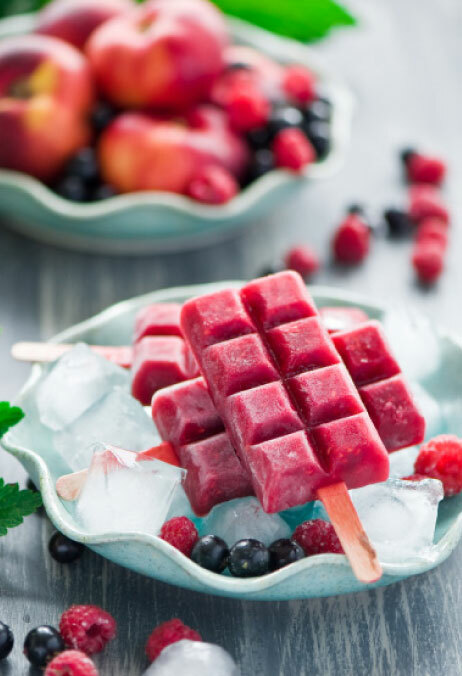 Step 5: Enjoy frozen fruit! Really frozen. Perfect for your summer picnic. For extra fun, be sure you and your friends show each other your purple tongues.